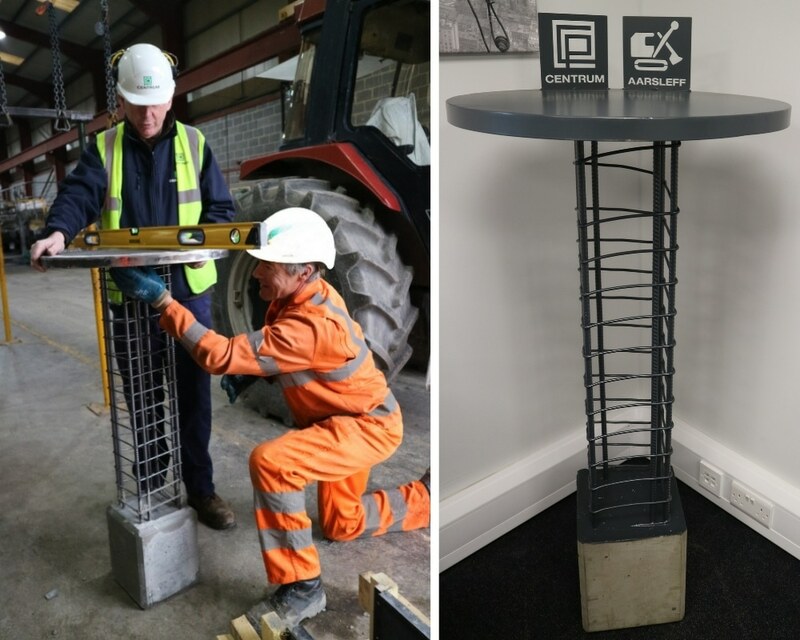 Aarsleff Ground Engineering have styled out their Head Office in Newark with bespoke reinforced precast concrete pile tables made by Centrum Pile, their sister company manufacturing facility. Inspired by the one’s made by Aarsleff’s sister company in Germany, the two organisations collaborated to make several for their UK headquarters in Newark, Nottinghamshire, proudly displaying the company’s piling heritage. 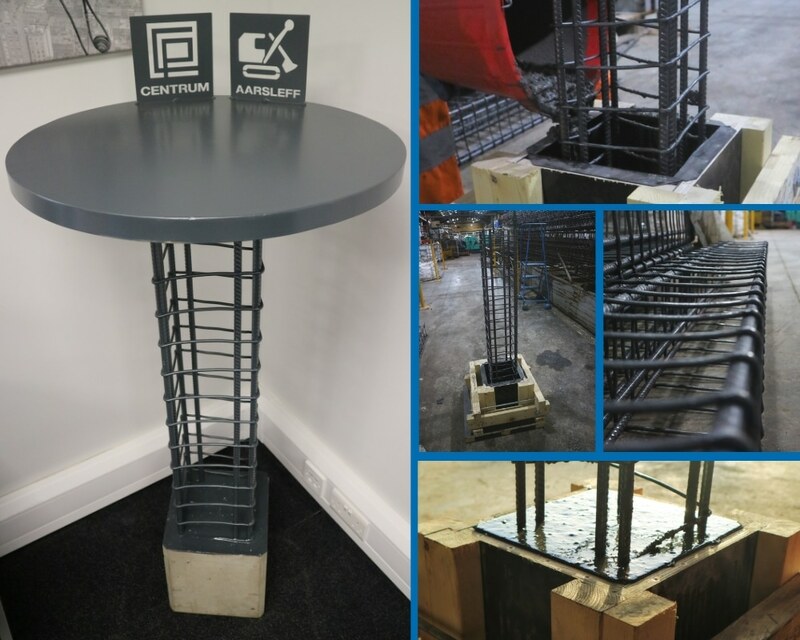 They also manufactured a bespoke pile table that proudly showed off the joint types utilised in Aarsleff’s driven precast piling jobs. 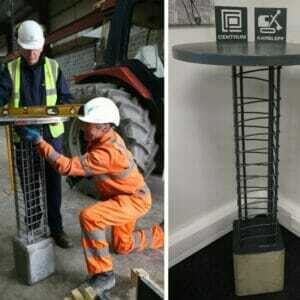 The joint displayed in the top part of the table’s reinforcement cage is the Class A joint which is designed and patented by Centrum Pæle A/S in Denmark. Manufactured to BS EN 12794, the A-Joint pretensions the connection between the pile segments to be joined, thereby inhibiting the ingress of water or corrosive agents. This means that it can be used for hard pile driving without losing its properties. The pile joints used by Aarsleff Ground Engineering are recognised as being the strongest, most durable pile joints available in the UK and across Northern Europe.